The Discovery and Conquest of Mexico, 1517-1521. 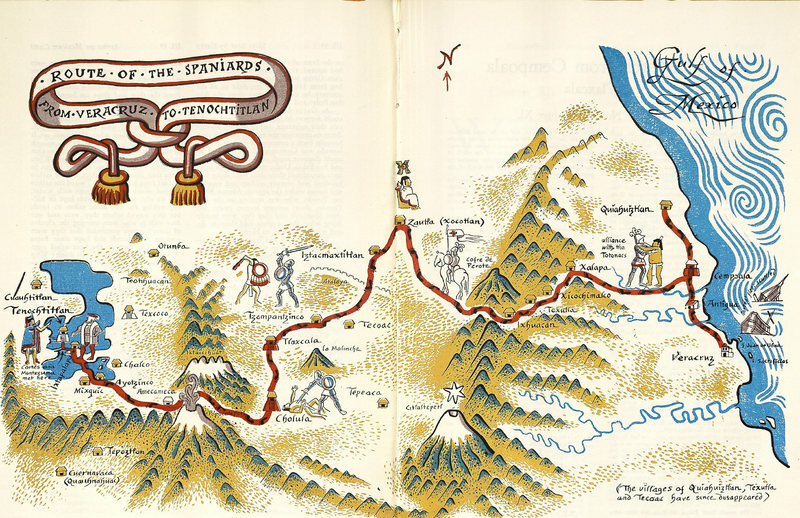 Edited from the Only Exact Copy of the Original Manuscript by Genaro García. Illustrated by Miguel Covarrubias; with a New Introduction by Harry Block.Mexico: Printed by R. Loera y Chávez for the Members of the Limited Editions Club, 1942. This translation of Historia verdadera de la conquista de la Nueva España by A. P. Maudslay provides a historical overview of 16th century Mexico. Printed in an edition of 1500 copies, Lehigh has copy no. 964. 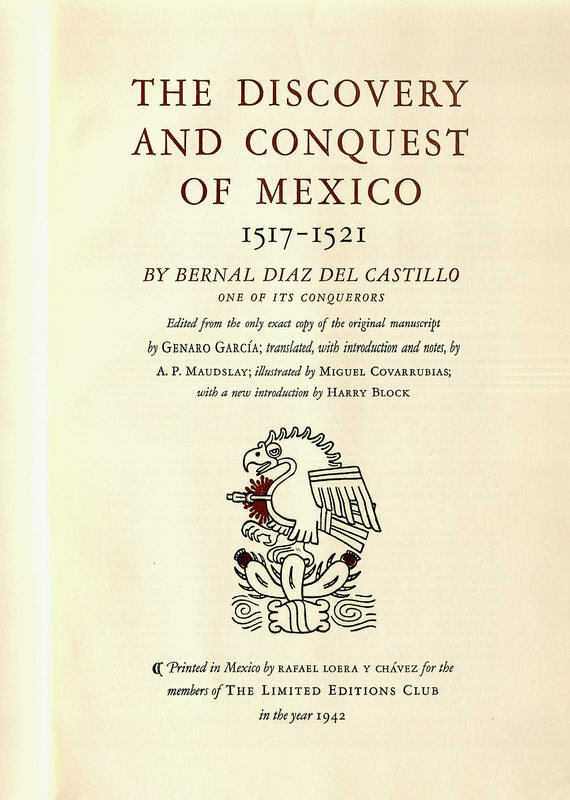 "The Discovery and Conquest of Mexico"